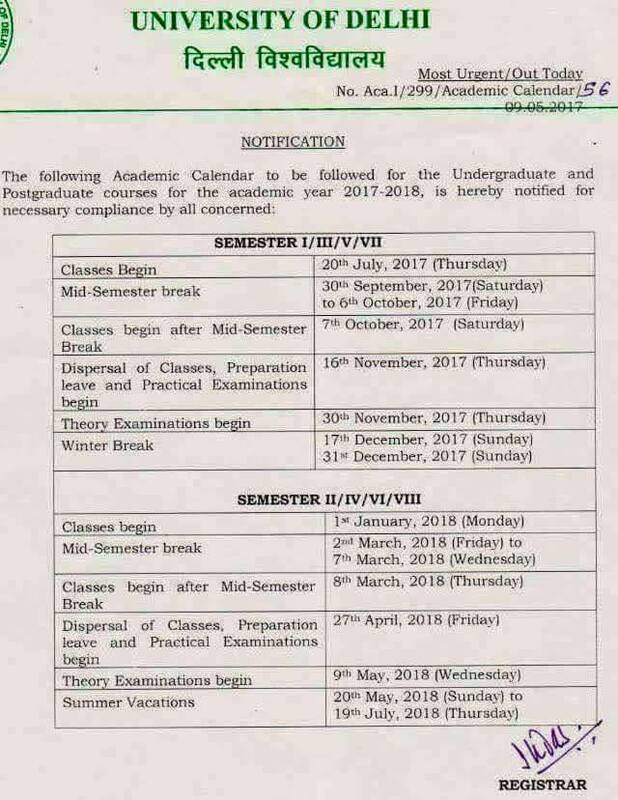 Delhi University has released its Academic Calendar for the year 2017-18 which describes all the important dates like – DU college opening dates, mid-term break and then Exam Schedule 2017-18, Winter Vacations and then reopening of DU College in 2018 along with Semester exam dates Delhi University 2018. The academic session of 2017-18 begins on July 20th, 2017 and ends on July 19th, 2018. The Delhi University admissions for new batch begins from 22nd May 2017.